© under license to London News Pictures. 05/06/12. 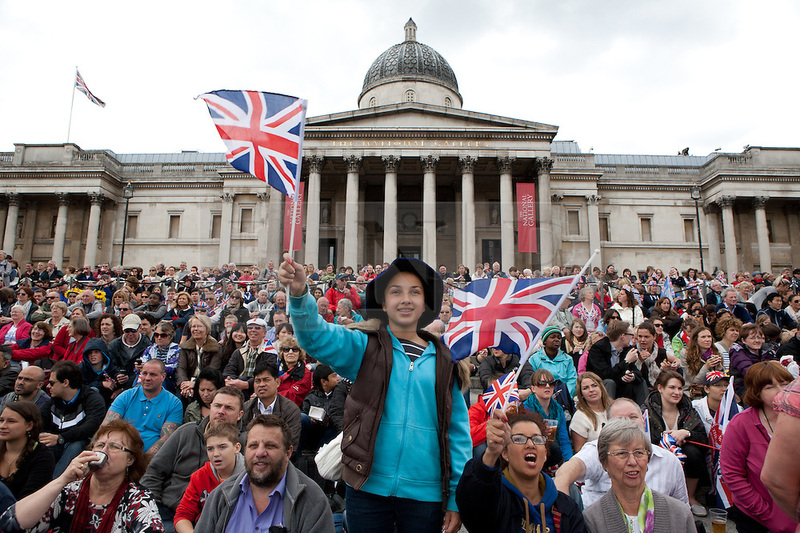 People celebrating at trafalgar square in London at the Diamond Jubilee presented by Boris Johnson.XAVIER ITTER/LNP.